I love the Fourth of July. I’m willing to say it’s my favorite holiday. As an expat that makes for a hard time. 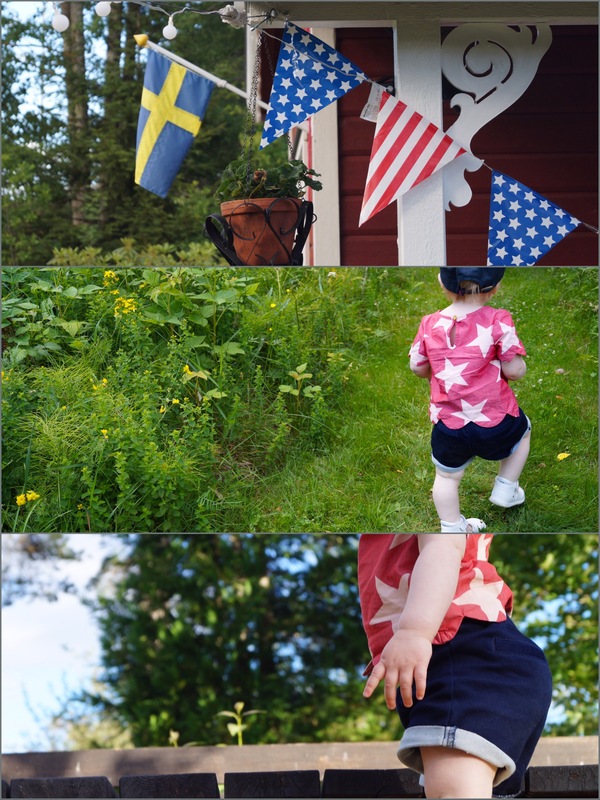 This year we celebrated in Sweden. That is sans four day weekend. I mean I’m off, but the rest of the country isn’t. (Petition to the King still pending). We made a great day of it. 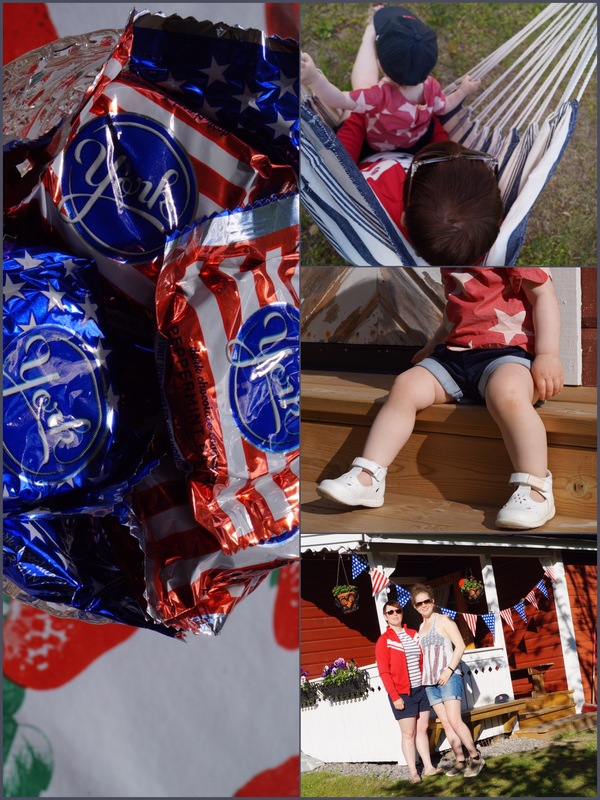 Grilling, American flag decorations galore, and lots of red white and blue clothing. I hope our little one will enjoy the Fourth of July as much as I do. As often as we can, I hope we celebrate it in the States. It does make all the difference. Here’s hoping your Fourth was full of fantastic fireworks, good company and tasty food. 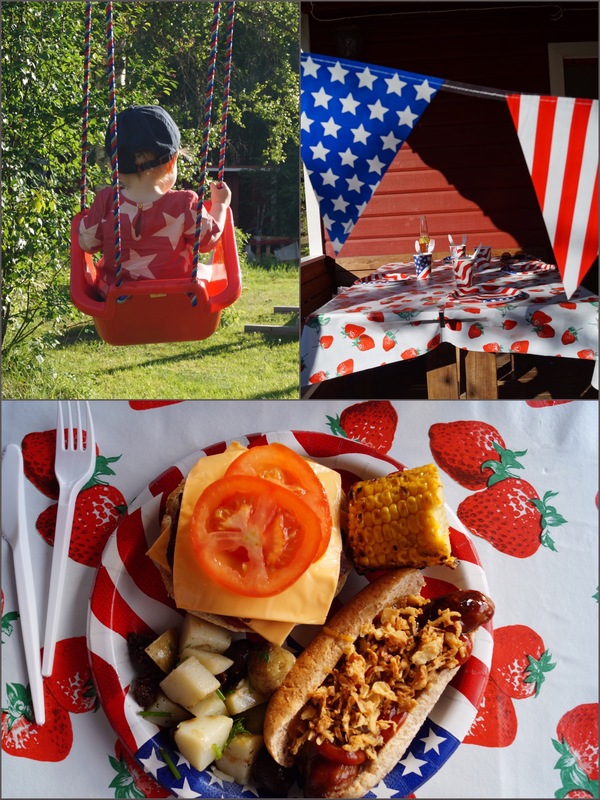 Categories: Culture, Family, Food, Holidays, Life | Tags: American flag, celebrate, family, fantastic fireworks, Fourth of July, friends, good company, grill it up, posted on the fourteenth, red white and blue, tasty food, USA | Permalink. Here he is again! Loveable Alfons Åberg! Since my first Alfons post (or Alfie if you’re reading the English translation) a lot has happened. Including the current residence of a small toddler in our home. K loves Alfons. She actually loves a wide myriad of books of all shapes an sizes. (She frequently brings me my textbooks for me to read to her – and sits for much longer than expected and listens as I read aloud). 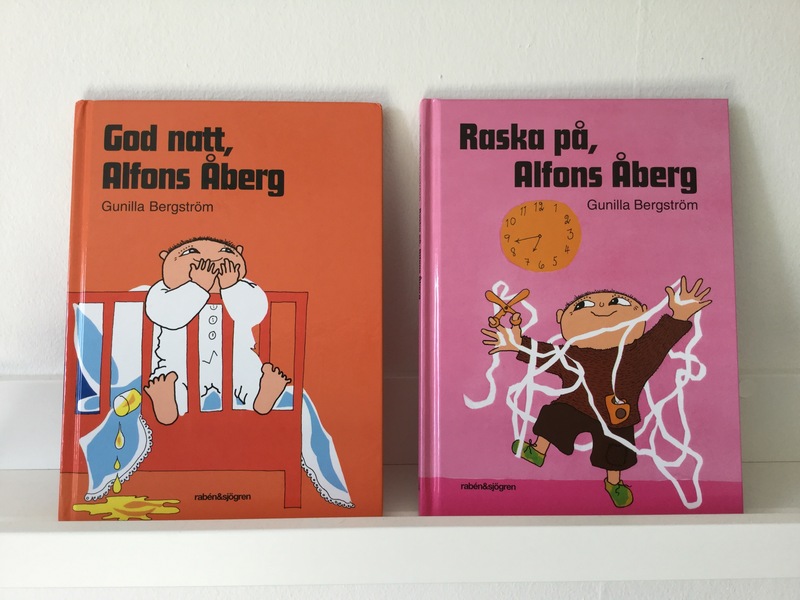 What we’re here today to talk about is my personal favorite Alfons book – Raska på Alfons Åberg! Which translates to Hurry up Alfie Atkins! Left: first post – Good night Alfie Atkins. Right: Hurry up Alfie Atkins! Not to give away the plot of the ending, I do want to say it ends in a lot of laughs. Which means I laugh a little while reading (always the dutiful actress), K laughs a lot at me, and I start genuinely laughing. Just a jolly good show for all. I, yet again, recommend Alfons, Alfie, Mikko or whatever language you prefer to read in with your little one. Categories: 30 before 30, Books, Family, Life | Tags: 30 before 30, a book a day, Alfie Atkins, Alfons Åberg, book of the month, BOTM, Gunilla Bergström, June, laugh, live, love, read, read with your little one, reading, toddler | Permalink. If I’m going to share my brothers’ childhood nicknames on their birthdays, then it’s only fair I share mine. When I was little my older cousin had a hard time saying my name. Marissa is only about a year older than I, but that did give her a leg up,in the talking thing. Trying to say Meredith, it always came out Mediwift. Which aside from being ridiculously cute, also made for an awesome, and at times still standing, nickname. Meredith is actually pretty hard to say. Understandably seeing as there’s an R right in the middle and a -TH at the end. Just as any Swedish person who addresses me as Meredit (there is no lisping -th sound in Swedish). After recently taking a course on language learning for the preschool child I have more insight in this than ever before. Though I don’t want to get too boring technical I do want to say that the strategies Marissa used to say my name are common and work well in terms of being understood. And, again, just ridiculously cute. So, if you’re feeling silly and want to say “Happy Birthday Mediwift!”, I will say thank you. I know you’re talking to me. Though this is a today only offer. 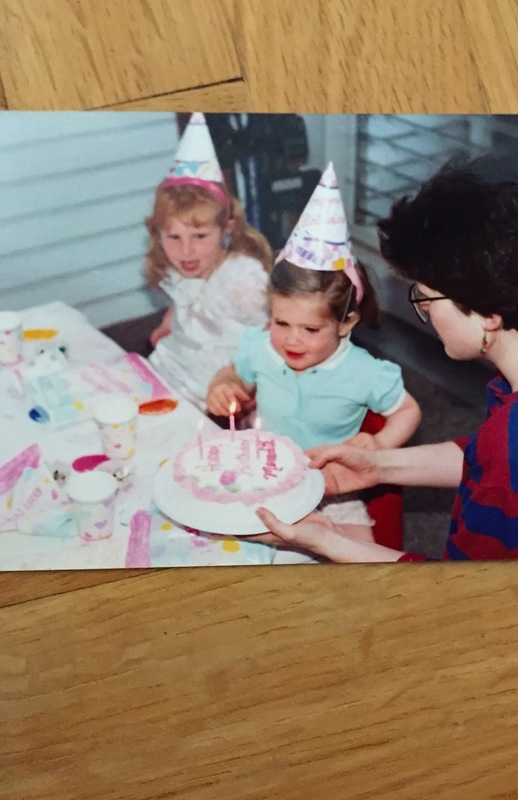 Categories: Family, Humor, Life | Tags: birthday, celebrate, childhood, cousin, cute, language learning, Mediwift, nickname, strategies, today's the day | Permalink. This guy is 25 years old! I can’t actually beileve it. 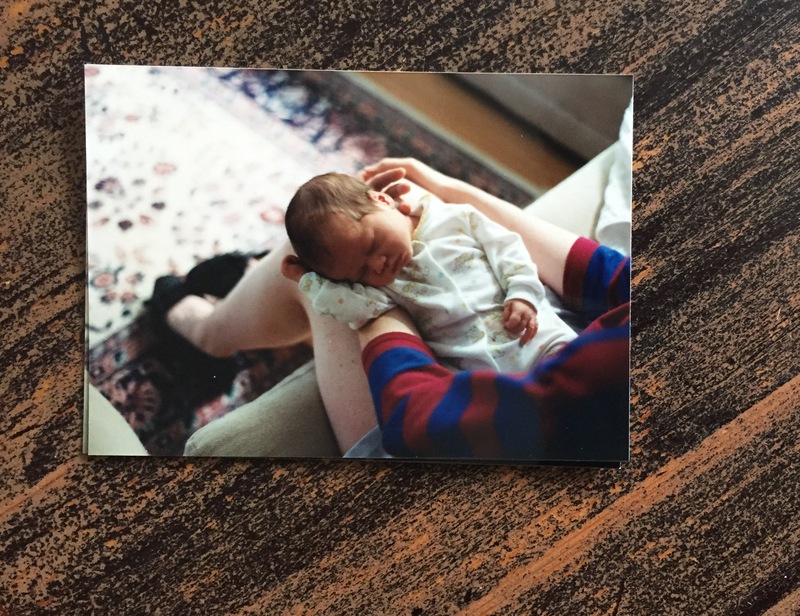 As the big sister your little brother is always your little brother…but 25 isn’t so little. 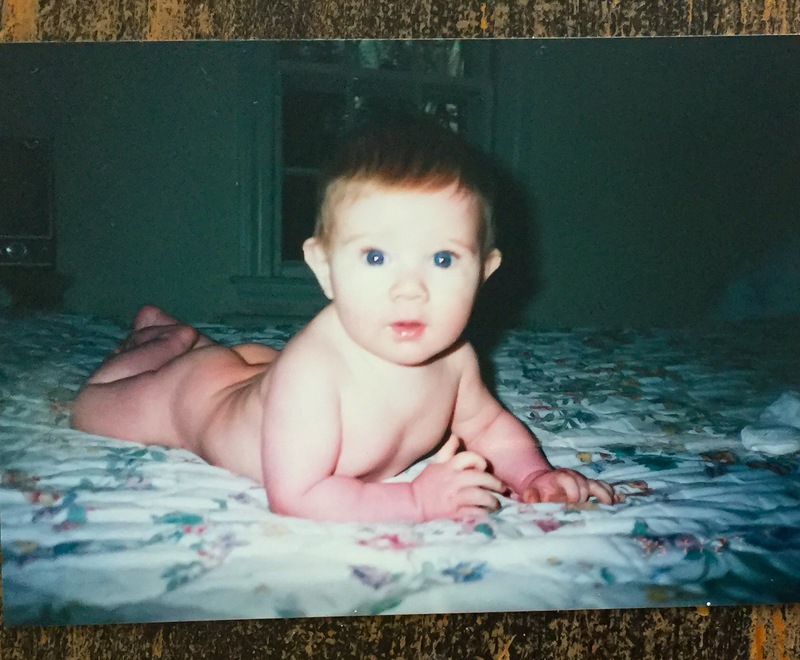 When we were in fact little, Ryan had a nickname within the family, Ry-guy. This intelligent little mischevious boy could come up with the funest tricks and adventures. From exploring the woods in our backyard to wearing me and my friends down to finally let him into our “secret clubhouse”. Which in reality was just the inside of the house attached to the swing-set, so I’m not sure how we had the nerve to dub it secret. Ryan could talk his way into anything. I’m pretty sure to this day when he turns on the charms he still has that skill. Though when it comes to fika I still have a way with words that leads to me getting the last cookie. Happy birthday Ry-guy, hope it’s a great one! 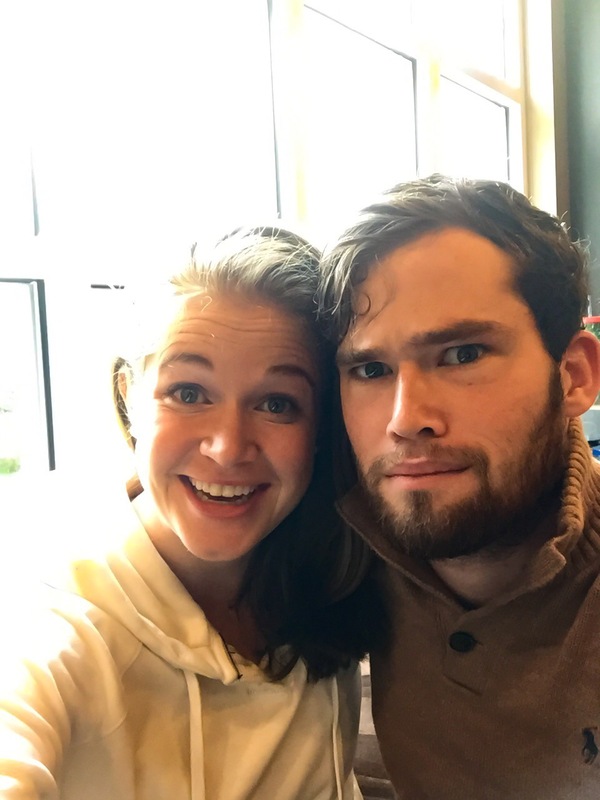 Categories: Family, Humor, Life | Tags: birthday, brother, celebrate, gettin' old, growing, happy birthday, happy day, little brother, Ryan | Permalink.